How do you approach health and fitness? Do you control it? Or, does it control you? Is there such thing as eating too healthy? Is it possible to exercise too much? In a society that’s characterized by overeating processed junk food and living a sedentary lifestyle, it’s hard to believe, but, yes, it’s possible to have too much of a good thing. An obsession with being fit cannot only be unhealthy, it can be counterproductive and downright dangerous. 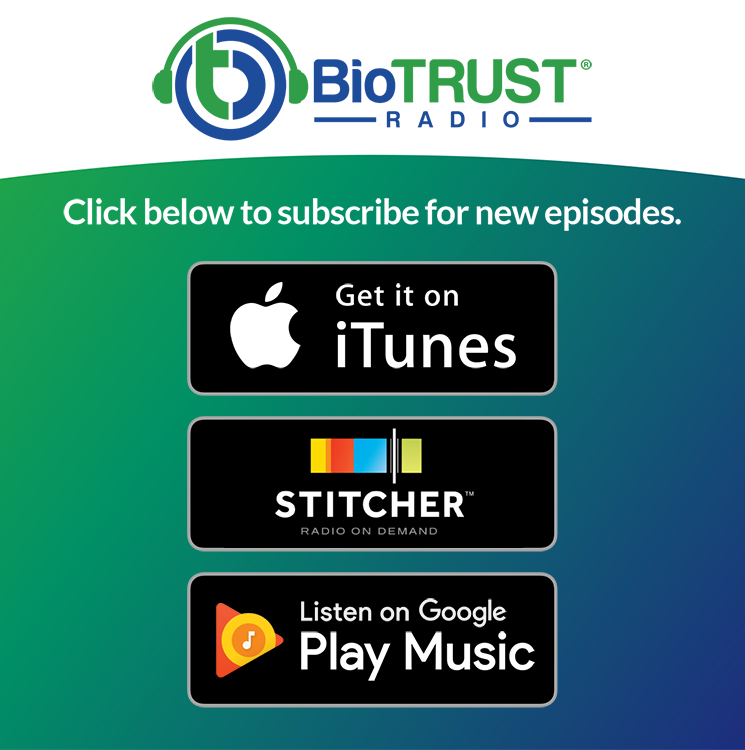 In this episode of BioTrust Radio, we’ll reveal some of the warnings signs that your well-intentioned efforts may have crossed the line, and we’ll also help give you the tools you need to do to find the healthy middle ground. Diet and exercise are only two pieces of a much larger puzzle. Why you may need to take a critical look at your relationship with food and exercise. How an “all-or-nothing” approach can be dangerous. Why a healthy lifestyle is not about being perfect. Warning signs that your approach to health and fitness has crossed the line and may be unhealthy. How to find the healthy middle ground. What it means to live a life worth living. We’ll discuss these topics and much, much more! And how about you? Do you struggle with moderation when it comes to diet and exercise? How has it affected you? How do you deal with it?